The debt of Guinea, Liberia and Sierra Leone to the IMF will increase from $410 million to $620 million over the next three years, despite this debt cancellation, because of new loans. The IMF has made almost $9 billion in surplus from its lending over the last three years, which is sitting unspent in its reserves. The announcement is implementing a G20 commitment made in November 2014 to provide $300 million of additional “debt relief, grants and loans” to Guinea, Liberia and Sierra Leone through the IMF. In reality, the total debt relief and loans that have been announced total only $260 million. 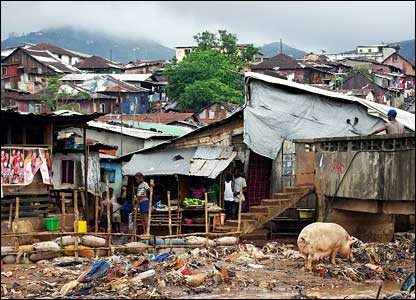 The IMF is creating a new scheme for cancelling debts of low income countries suffering from a health pandemic. Under the scheme, countries which qualify get an amount of debt payments cancelled (20% of their quote at the IMF). The debt payments cancelled are those coming due to be paid soonest. 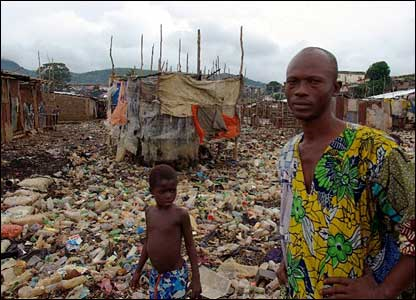 The current debt of Guinea, Liberia and Sierra Leone to the IMF is $410 million. A further $145 million of loans has also been already committed ahead of today’s announcement. The additional loans announced today take the total potential debt up to $715 million. $95 million of debt cancellation takes this down to $620 million of debt remaining.